My sci-fi thriller, LAZARUS, is out on Smashwords and Amazon! Get it while it’s hot! Follow The Upturned Microscope on Twitter and Facebook! Don’t let the Man hold you back. 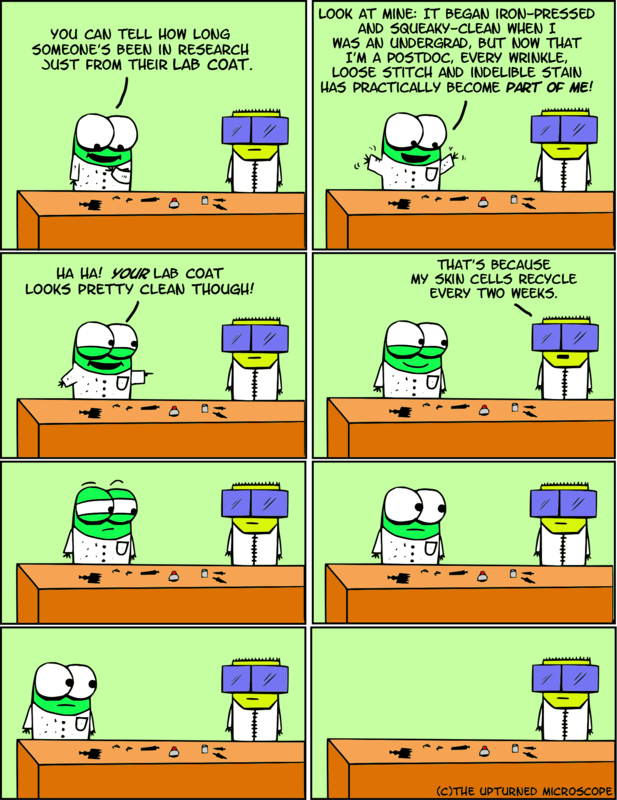 This comic was posted in Comics, Humour and tagged academia, comic, Humour, lab, lab coat, PhD, postdoc, research, science, science career, science humour, webcomic.